Mutualism is one of the words that scientists use to describe the mutually beneficial relationship between many animals and plants. If bird talk could be translated to human languages, we might hear a songbird tell a flowering plant, "Let me eat your seeds, and I'll spread them far and wide." Similarly, flowering plants produce nectar and pollen that feed butterflies, honeybees, hummingbirds and other small wildlife. In return, these animals help insure the survival of species by carrying pollen from one plant to another. Even lowly snails and slugs have a role in the garden although we gardeners may think their job is simply to frustrate us by leaving holes in foliage. Yet they consume leaf mold and other organic detritus on the soil and fertilize plants in the process. And frogs, one of our favorite forms of wildlife, love to snack on these crunchy, slimy creatures along with other tiny insects. Beneficial spiders, also in search of insect meals, are another balancing agent in the web of plant and predator life in gardens and greenhouses. At Flowers by the Sea, we can't help but pay close attention to ecosystems and the helpful role that small wildlife play in life on a horticultural farm. So we like to give them their due in our All Things Salvia blog where you will find articles including how to identify the source of leaf nibbles, why deer don't enjoy eating sages and serious problems with migration and food supplies for pollinators. 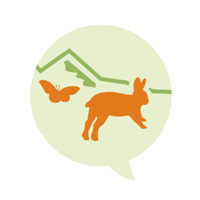 We also like to encourage our customers to grow plants that will provide habitat for small wildlife, which is another reason why we post "Sage Words About Wildlife" stories in our blog. 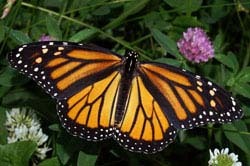 Plant Milkweeds, and you provide food and lodging for Monarch butterfly babies. Plant a mass of Salvias, and you create a fill-up station for butterflies, honeybees, hummingbirds, hoverflies and who knows what other helpful insect that wanders by. You welcome and encourage nature. 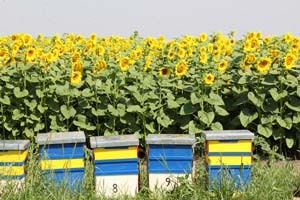 Forgive the bad pun, but we almost wouldn't be without bees. These tiny pollinators make it possible for us to eat and experience the flowering beauty of the world around us. Honeybees -- the kind managed by beekeepers -- and thousands of wild species pollinate at least one-third of the plant species we eat. At Flowers by the Sea we've decided to improve our efforts to help the genus Apis. Our first step is to make it easier for you to find plants honeybees frequent by making our catalog easier to search for bee favorites. 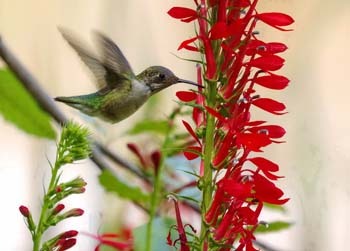 Top-10 lists of hummingbird favorites almost always contain Salvia and Lobelia, because each genus is nectar rich and offers many species in bright reds, oranges and pinks. Hummingbirds have a weak sense of smell, but bright colors, such as those of Lobelias, lure them to flowerbeds. They are particularly devoted to the four types grown at Flowers by the Sea. Worries about declining numbers of the Monarch Butterfly (Danaus plexippus) emerged several times this past year in newspapers and on wildlife websites. Yet this isn't a new problem. Due to research by organizations such as Monarch Watch as well as tracking efforts by the Mexican government, we now know about the dramatic ups and downs the species has experienced in the past 20 years. 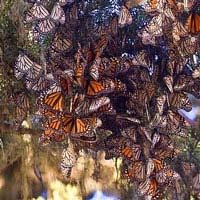 We have a clearer picture of how Monarch migration is endangered. You can aid the miracle of migration by Monarchs and other butterflies by planting butterfly gardens containing both nectar and host plants. At Flowers by the Sea, we grow a wide range of butterfly favorites. Nature doesn't come to a sudden, overall halt, when the timing of its ecosystems slip, including ones involving hummingbirds. Instead, change occurs gradually. Plants and the animals that pollinate them have coevolved to meet each other's needs. An example is the long beaks of hummingbirds and deep, tubular flowers. Both sides of this survival equation suffer when the phenology -- or timing -- of hummingbird and plant connections is thrown off. Recent scientific studies explore these shifts and climate change. You can help by planting hummingbird habitat in your home garden. 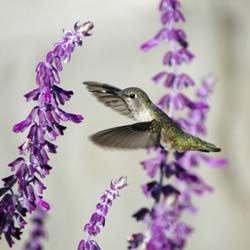 We detail ten nectar-rich Salvias and companion plants that are hummingbird favorites. Sometimes it is difficult for hummingbirds to get all the nectar they need from the garden, even if you have many Salvias. Hummingbird feeders supplement mother nature and attract a crowd of the Family Trochilidae. Water features, including misters, are also good attractants. 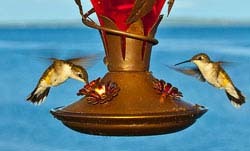 However, both feeders and water features need to be kept clean so they don't harm hummers. 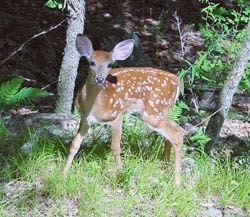 Sage Words About Wildlife: Do Deer Devour Salvia? Salvias are not a favorite food for deer. However, they will eat some when plants they consider tasty are in short supply. There is no such thing as deer-proof plants, but you can limit deer damage to your landscaping and vegetable garden by planting lots of sages and other plants that aren't among deer favorites.